For surely we shall pay for using this most powerful instrument of communication to insulate the citizenry from the hard and demanding realities, which must indeed be faced if we are to survive. And I mean the word survive, quite literally…If Hollywood were to run out of Indians, the program schedules would be mangled beyond all recognition. Then perhaps, some young and courageous soul with a small budget might do a documentary telling what, in fact, we have done–and are still doing–to the Indians in this country. But that would be unpleasant. And we must at all costs shield the sensitive citizen from anything that is unpleasant. Today we can include African Americans, Latinos, poor whites, and the homeless and mentally ill to Murrow’s “Indians.” Murrow’s dystopian prophecy of television’s future could not have been more correct. We live in the à la carte news era: whatever your opinion is, you can find the news corporation that supports it, and become further insulated from reality. 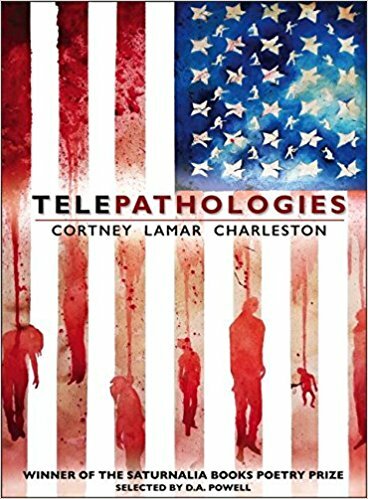 In his first book, Telepathologies, Cortney Lamar Charleston’s speaker lifts the veil to try and reveal what life as a black man in America is like in real life. The poems work to deconstruct media bias, societal and sociological racism, and internalized racism and bias. That being said, Telepathologies overall lean is to show us how these lofty terms create the conditions for genocide. Or to put the question another way, how do you [continue] to overcome the pre-ordained roads institutional racism forces you on? How do you walk into the mouth of your apathetic countrymen’s insulated reality knowing you are the gravest of perceived dangers? How do you accomplish all of this while raising your babies to do the same? dip and cans of Coke. wears during swim season as a way of trying to protect her roots. how come only our home movies end this way? Survival tactic: poor movie etiquette. I keep my cell phone on silent, never off. to heart like a drumbeat. without a single prayer uttered. when fear is on opposite balance. The seventh act begins with the couplet “Disregard of life by any mode is / a concept that wears a suicide vest,” a line that reads more like a question, how long before our false reality explodes and finishes us off? 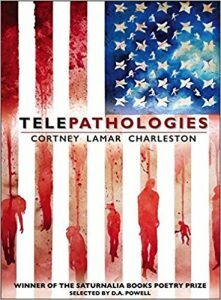 If there is one drawback to Telepathologies is that at 125 pages it can run long, for a poetry collection. However, that does not diminish the collection’s importance. James Baldwin wrote “Someone once said to me that people in general cannot bear too much reality,” but they are all too ready to believe the false narratives that recreate reality everyday. Thankfully, much like Claudia Rankine’s Citizen: An American Lyric, Charleston’s first book is acting as witness to our demise and asking us to look deeper at each opening and closing act. So that at least in the end, we will have seen for ourselves. 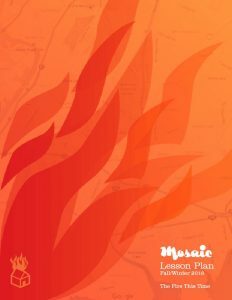 Roberto Carlos Garcia’s book, Melancolía, is available from Červená Barva Press. His second collection, black / Maybe, will be published in spring 2018 by Willow Books. His poems and prose have appeared or are forthcoming in Those People, Rigorous, Academy of American Poets Poem-A-Day, The New Engagement, Public Pool, Stillwater Review, Gawker, Barrelhouse, Tuesday; An Art Project, The Acentos Review, Lunch Ticket, and many others. This entry was posted in Reviews and tagged Cortney Lamar Charleston, Edward R. Murrow, How Do You Raise A Black Child, Roberto Carlos Garcia, Telepathologies. Bookmark the permalink.